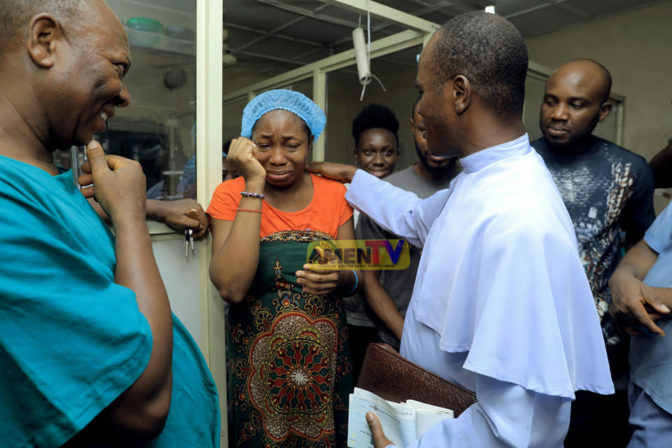 A woman who just gave birth to four babies couldn't hold back tears after Fr. Mbaka gave her a whopping N3.5 million. The founder of Adoration Ministry in Enugu state blessed the family following the birth of the set of quadruplets. 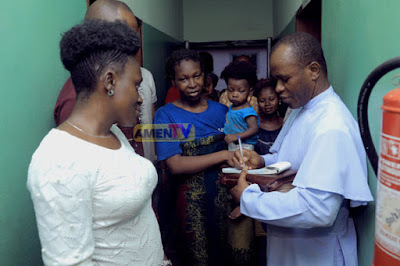 Mbaka visited the couple in the hospital as members of his ministry and took care of their hospital bill of N1.5million. He also donated N2m to the woman’s husband to support his business.